An enchanting marriage of past and present, Inti Raymi Restaurant presents local and regional delicacies. Based upon Andean ingredients, these epicurean dishes unite with premier international cuisine in a storied, yet modern indoor-outdoor ambience. With a farmhouse ambience and a tantalizing all-natural menu, Greens Organic offers the perfect health kick after a night on the Cusco tiles. Inka Grill offers a menu that combines Peruvian and international cuisines. Fine dining and culture are combined at MAP Café, an elegant eatery that is located within the city’s Pre-Columbian art museum. A rustic restaurant specializing in high-quality, traditional Andean cuisine. Italian and Peruvian cuisines collide to create a surprisingly seamless match in the inviting Incanto, located in a former Inca palace. Calle del Medio offers authentic Peruvian cuisine, with innovative interpretations of classic Peruvian Creole dishes. Cusco&apos;s La Feria is an exceptionally authentic Peruvian spot right off the Plaza de Armas. 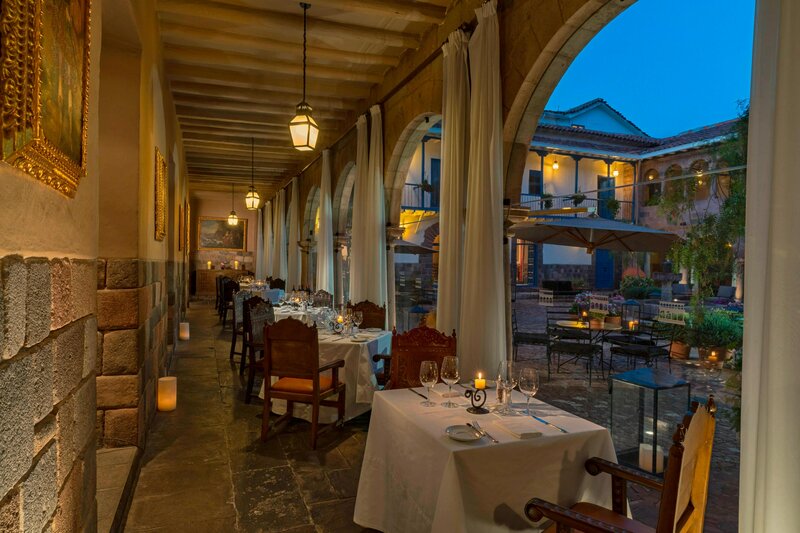 With a rooftop terrace offering stunning views over Cusco, Marcelo Batata makes use of traditional Peruvian ingredients to create dishes that incorporate Criollo, Oriental and Mediterranean influences. A charming venue split between a low-key tapas bar and an intimate candle-lit restaurant. Le Soleil is the first French gourmet restaurant in the city.